If you can imagine it, Krystal has experienced it. If you’ve ever wondered what an abusive relationship truly feels like, Krystal can tell you. If you’re curious as to what a true survivor looks like, take a good long look at Krystal–her life is a testament of dedication, overcoming the worst of the worst in relationships, and learning from one’s mistakes. When Krystal finds Pete, she believes she has found forever. 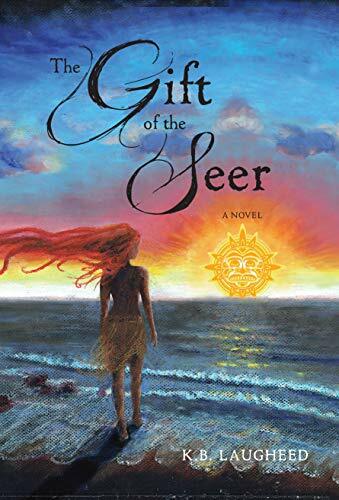 She could never have foreseen that the world into which she would bring her children would be one in which their father would make their lives a living hell. 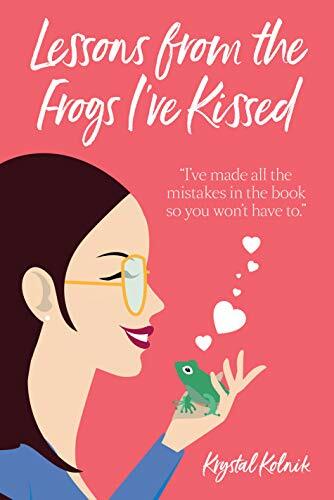 Krystal Kolnik’s Lessons From Frogs I’ve Kissed is one of the most heart-wrenching stories of love and loss I have ever read. The strength it takes Krystal to simply live from day to day in the presence of such a dismissive and disloyal husband is completely stunning. As I read page after page filled with descriptions of her husband’s indiscretions and manic outbursts, my heart ached and I was filled with a rage of my own. Krystal’s willingness to open her heart and spill her experiences for the world to read is beyond admirable. More than that, her story resonates with both men and women across the globe. Abusive relationships of one type or another are, sadly, a common occurrence. Readers who are desperately seeking validation will see themselves mirrored in the way Krystal is drawn back to Pete time and time again as his hollow promises are broken one after another–so goes the life of a victim of domestic abuse. 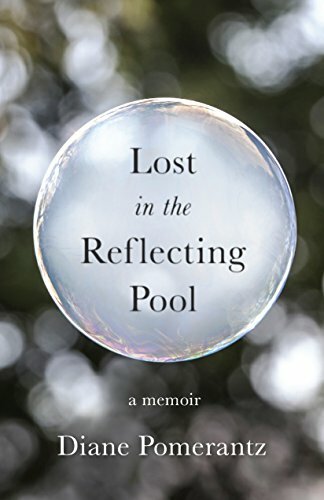 From Krystal’s own struggle to believe or not to believe Pete to her family and friends’ choice to conceal their own knowledge of Pete’s ongoing affairs, the author details each and every crushing blow before calmly describing the ease with which Pete is able to slide from his duties as a father and husband into the life he prefers as a sleazy cheater and abusive sociopath. 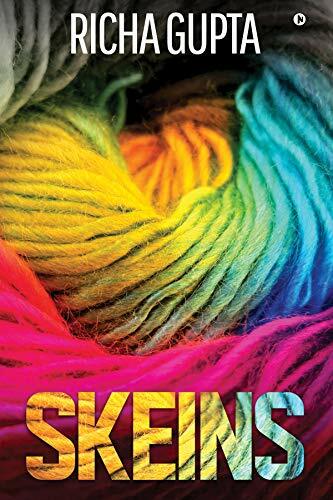 Without having to present him as an actual character, Krystal succeeds in giving readers an antagonist worthy of all the hatred they can muster. Krystal details the day-to-day struggles of being a single parent wanting to date in today’s world. Her descriptions of her young daughter’s vision of her father are almost too much to bear. Her recollections of his tantrums and abuse make my stomach turn. Krystal and her children have lived through more than their share of hard days and deserve all the good times life now has to offer. Relationship after relationship, Krystal lays it all out on the line and goes for broke. Time after time, she is met with adversity. She does a wonderful job of making readers feel her pain and frustration–her descriptions of online dating are relatable in every way. This is easily one of the most engaging stories I have read in years. Krystal’s mistakes become her lessons and, in turn, become the reader’s as well. Were it not for authors like Krystal, many of us would continue to feel alone in our frustration and misery. Krystal opens the door for communication. For that, I am grateful. Life happens. We all know this and generally don’t have to be reminded of this truth. Along with the rigors of work, family, and relationships come changes in metabolism and eating habits. Women seem to bear the brunt of these changes with weight gain following the transition into marriage and motherhood. Make no mistake about it, women are well aware of the changes their bodies undergo, and they are hyper aware of the impact their weight gain has on relationships and their overall health. Whether women work to lose weight or not, they don’t need reminding that their bodies are changing in ways they may not necessarily like. 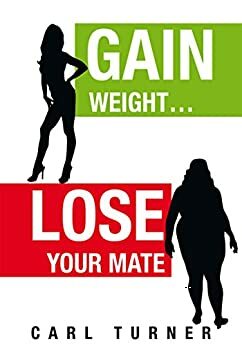 Carl Turner’s Gain Weight…Lose Your Mate examines the tendency of women to gain weight and focus less on maintaining the size they were upon entering the relationship with their mate or spouse. Turner spends a significant amount of time examining men’s awe regarding their girlfriends’ and wives’ seeming unwillingness to lose weight following childbirth. Though I understand some of the reasoning Turner sets forth, he focuses rather relentlessly on the desire men have to see their wives lose the baby weight. Another aspect of Turner’s writing lies in the fact that he relates men’s feelings to the physical appearance of their wives and girlfriends. According to the author, there is a certain level of happiness most men feel as a direct result of their wives’ physical appearance, and that level of happiness is negatively impacted by their choices not to pursue exercise and healthier eating habits. Peppered throughout Turner’s book are scenarios and examples of couples coping with the woman’s weight gain. Turner presents these situations in order to better illustrate his point but succeeds only in making men look more and self-centered. In once such scenario, Turner introduces a brief scene in which one man tells his wife that he will leave his wife alone with their children if she keeps her weight as is and doesn’t find a way to drop the extra weight she gained after having the two children. Sharing this story would have been effective had Turner used it to explain the selfishness behind the man’s comments. However, Turner goes on to explain that men don’t care what their mates eat as long as their weight/appearance is not negatively affected in their opinions. Turner does include research-based measures and manages to warn readers of the consequences of obesity and the ensuing health conditions which result from overeating and failing to exercise regularly. Turner’s writing style is straightforward and polished. Overall, I am mortified by the tone taken by the author and feel the writing lacks solid advice to rectify an issue rather than pointing out that there is a problem. His point of view is well crafted and easily understood. 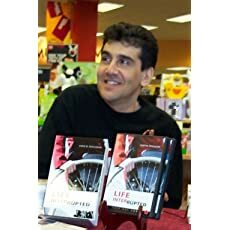 Life Interrupted: It’s Not All About Me is a memoir about your life and the challenges dealing with Multiple Sclerosis. Why was this an important book for you to write? It was important to write for several reasons none of which was more important than the next. When I started out writing Life Interrupted, It’s Not All About Me, it was my intention to help one person, myself. You see, when I was divorcing my ex-wife to be’s lawyer had embellished much of the petty jousting that often goes on between individuals in the process of divorcing, but he really made me out to be a calculating monster, which I was not. I wanted to share the truth with family members, in-laws and friends , but I believe God intervened and said, Chris, you can help one person, yourself, or you can help thousands of chronically ill and disabled individuals in the middle of their own desperate, downward spiral into the abyss of depression by helping them to avoid making the same relationship destroying mistakes that I once made. In summary the two main reasons for writing my memoir were one, to save face and two, to help others with chronic illness avoid falling into the self – sabotaging, dismal, depressing downward spiral of the relationship destroying poor me attitude. I enjoyed how you shared both the good and bad times and it felt like you held nothing back. What was the hardest thing for you to write about? The hardest thing for me to have shared was my insidious anger and the fact that it was misdirected anger made it that much worse. I was out of control and in the midst of the worst I found God and accepted Jesus Christ as my Lord and Savior. What is one piece of advice you wish someone gave you when you were diagnosed with Multiple Sclerosis? The best piece of advice anyone could have given to me when I was first diagnosed with MS would have been, never stop living your best life. If I had given into my initial thought that life was over, I would have missed one of the most fabulous lifetimes full of unimaginable things, loves, wonders and experiences. I have lived and continued to live the most exciting joyous life with not a single regret. The book is very emotional but also inspirational. What do you hope readers take away from your book? My hope is that readers will look at what I have gone through and recognize that through hardship and misery comes purpose and direction. In my life it was God who saved me, when I thought I was not worth saving. Take a couple of moments to invite God into your life, asking Him to reveal Himself to you. 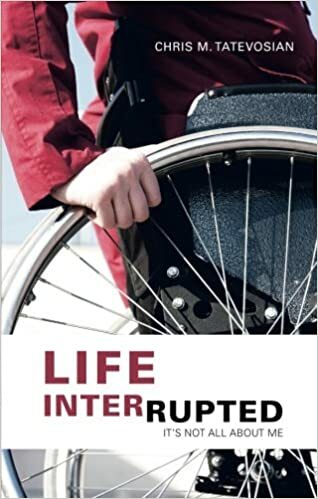 Life Interrupted: It’s Not all about Me, is a candid and humble memoir about one young man’s diagnosis of Multiple Sclerosis and how his ‘poor-me’ attitude cost him his marriage. Chris hopes others might learn from his mistakes to communicate more effectively and not allow disability and low self-worth to destroy relationships. Chris also writes about his faith in God, and his new wife, Jane, who he married in April of 2007. Dealing with a disability or other debilitating disease is hard to begin with. When you don’t get the help that you need to deal with the changes your life is taking, it can cause irreversible harm to your relationships. Self-care is important; and is a burden that should not be placed on the people you love. It is alright to ask for help, but ultimately you are responsible for your own actions, how you deal with your situation, and making sure the people you love know you care about them. Chris Tatevosian gives readers an honest look into his life with Multiple Sclerosis (MS), and how he let his attitude destroy his marriage. He shares his insights into what went wrong with his “it’s all about me” mentality; and how he learned to overcome that and build healthy relationships in life. Life Interrupted, It’s Not All About Me by Chris M. Tatevosian is a short read of less than 150 pages. It is however, filled with deep topics covering depression, anxiety, abuse and recovery. That is a lot of emotional energy packed into a few pages. Chris Tatevosian’s purpose in writing this book is to help others avoid the mistakes he made. He is very honest about the mistakes he made and offers the reader ideas on how to avoid making the same mistakes. 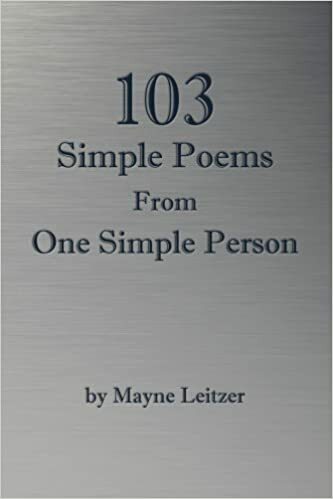 There is a good mix of positive and humorous stories mixed in with the challenges, so it is not an all-out depressing book. He talks about the good times and bad with his ex-wife. Hearing about the struggles to get disability and social security is relatable to many with disabilities of all kinds and he explains how the stress impacts both the people in the relationship, not just the one with the disability. At times the book feels like it is a personal journal where Chris is just writing out bits and pieces of his memories. I feel this is important though to the reader because you see him before MS took away his independence. You see him as he was, and it helps to understand why he became so bitter and fell into the “poor me” attitude that eventually ruined his marriage. Letting others see this makes it more real and relatable. In the end this book is not just about him complaining about all he lost due to MS, it is about how he learned to adapt and how he learned from his mistakes. This is a good book for people that are struggling and feel alone and feel that they can’t ever change the situation they are in. You may not be able to change your disability or disease, but you can change your attitude and how you relate to the people in your life to make your situation a little better. Moira Carruthers inherited the reins of her family’s charitable foundation only to find her father embezzled millions before his death. Ashamed and determined to make things right, Moira decides to use her own trust fund to replace the money. There’s just one problem. Moira can’t touch the trust until she turns thirty or marries. It seems she needs a husband…fast. She’s always been too busy with school and working to date and she has no prospects. There’s only one thing to do. Run away. A week on a Caribbean cruise should give her time to come up with a plan. She never expected the answer to her problems would stroll onto the deck of her ship. Jackson Kennedy has made billions in businesses and his next acquisition is an exclusive cruise line in the Caribbean. Spending all his time behind a desk or traveling for business hasn’t left much time for romance. Until his Army Ranger brother is killed in action and Jackson winds up with custody of his special needs niece. Suddenly, Jackson has a pressing need for a wife and mother for his niece. He plans to close the deal with the cruise line fast and then look for a wife. He never expected to find the perfect candidate right under his nose. What starts as a marriage of convenience could turn out to be the greatest love Moira and Jackson could ever find.